The nursery is available for children ages two and under for members and visitors during the 9:30 and 11:00 worship services. Little ones will join the infant room if they are not yet walking and move to the toddler room when they are steady on their feet. In September, children two years old by August 1st will be promoted from the toddler room to Sunday school. At times during the week, there is a need for childcare so that parents can participate in Bible study, as well as attend classes and meetings. A minimum of two Safe Sanctuary Certified childcare workers/volunteers, who are knowledgeable in providing developmentally appropriate activities, in a safe and happy environment, will care for your child. Reservations should be made one week in advance by ministry leaders for those individuals requesting care. 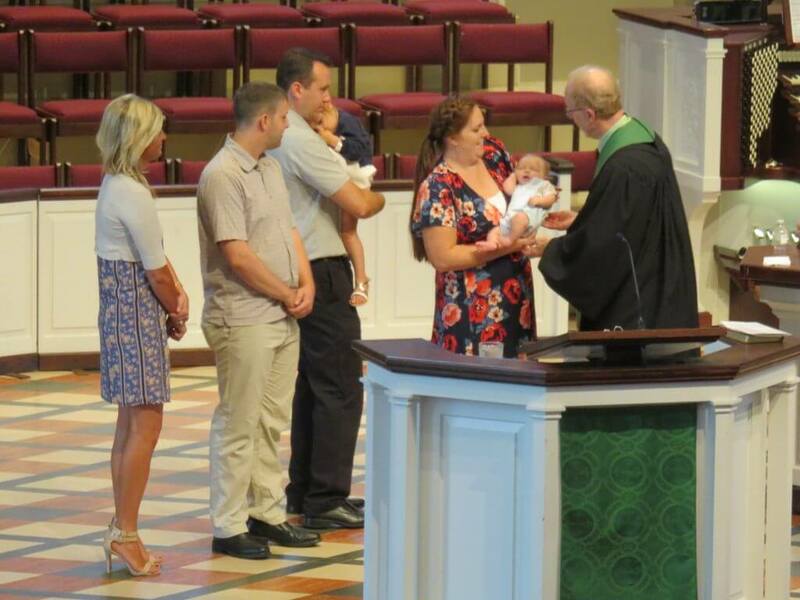 Whenever a new baby is born to MUMC members, a baby blanket, which has been lovingly made and blessed by the members of the Prayer Shawl Ministry, is delivered to the family. Parents should contact the church office with information of the birth. Please complete the following information at least one week in advance of the date requested for childcare. Next: Next post: New to our Church?